“Today is about making life easier for all of you” said CEO Drew Houston in his keynote, commencing the company's conference, dubbed DBX. And consumers must be in agreement with the notion: the cloud-service provider's userbase has ballooned from 100 million in November last year, to the 175 million reported at the conference yesterday. 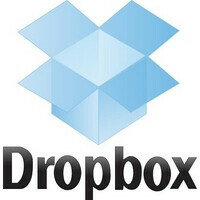 Whats more, over 100,000 applications use the Dropbox API, or put bluntly – let you access their bigger than ever cloud. Speaking of APIs, the existing duo (Core & Sync), is now joined by a new Datastore API promising to really make life easier, and we're sure many of you can relate. Still in beta, the new interface will allow app developers to backup your app data, including settings, bookmarks, contacts and to-do lists, and probably most important of all (for some of us) – game state. Even when you're offline. Never more will you have to go through the horror of realizing your latest fiddling with your smartphone meant losing your hard-earned power-ups in games, should their respective developers choose to integrate Dropbox's new API. "Our Sync and Core APIs already take care of syncing files and folders, but as people use mobile apps more and more, a lot of their stuff doesn't really look like a file at all," co-founders Drew Houston and Arash Ferdowsi explain in a blog post, “With the Datastore API, we’re moving beyond files and providing a new model for effortlessly storing and syncing app data. When you use an app built with datastores your data will be up-to-date across all devices whether you’re online or offline. Imagine a task-tracking app that works on both your iPhone and the web. If it’s built with the Datastore API, you can check off items from your phone during a cross-country flight and add new tasks from your computer and Dropbox will make sure the changes don’t clobber each other." Hardly untested territory, with iCloud already offering pretty much the same service for iOS and Mac apps. Regardless, Dropbox may be well-positioned to take a sizable bite off Apple's solution, especially seeing as developers have noted in the past that there's more to be desired in this regard. Another noteworthy announcement is the introduction of the so called 'drop-ins' for developers, which will give them the ability to add in-app support for accessing data already on your Dropbox, or uploading new files straight from applications. We can't really remember getting too excited about cloud storage, but these all sound pretty great and may be just what the company needs, pitted against rivals many times its size and just as capable.